So you sound like you swallowed a frog? Keep going. My public speaking debut did not go well. I recall it vividly. I was a young teen and I'd landed tickets to sit in the studio audience of an live weekday talk show in Detroit, "Kelly & Company." The episode was going to be about finding a job. I got all dressed up for the affair. My Dad drove me down to the city for the big event. At this point in my youth, it should be noted - I wanted to be a broadcast journalist. Never mind that I was just one schlemp in an entire studio full of people; I was determined to get some air time. And so, when the show host asked if anyone in the audience had any career-related questions? I shot my hand up. Me! Me! Me! Me! No, I hadn't thought up my question yet. Of course I hadn't. But I saw a window, and I went for it. Suddenly the studio assistant was heading my way, with a microphone. This would be the exact moment that I panicked. I quickly scanned the archives of my brain and then blurted out some very stupid question about finding a job. The blurt sounded quite a lot like a frog. I was horrified, my face on fire with embarrassment. I had blown my shot. I was a horrible public speaker and I would never make it as a broadcast journalist. I was convinced. Things got worse when we arrived home. Waiting at the back door for our return, was my older sister. Upon seeing me, she doubled over laughing and contemplated aloud whether I'd sounded more like I'd swallowed a frog, or a handful of cotton balls. I'm laughing now as I type this, but let me tell you ... That life event was one of the more paralyzing moments of my youth. It also made me terrified about speaking in public, for a very long time. If I could avoid a speech, an interview, a presentation, or any other speaking activity that may bring back the dreaded frog (cotton ball) voice? That's precisely what I'd do. Flash forward 20 years. 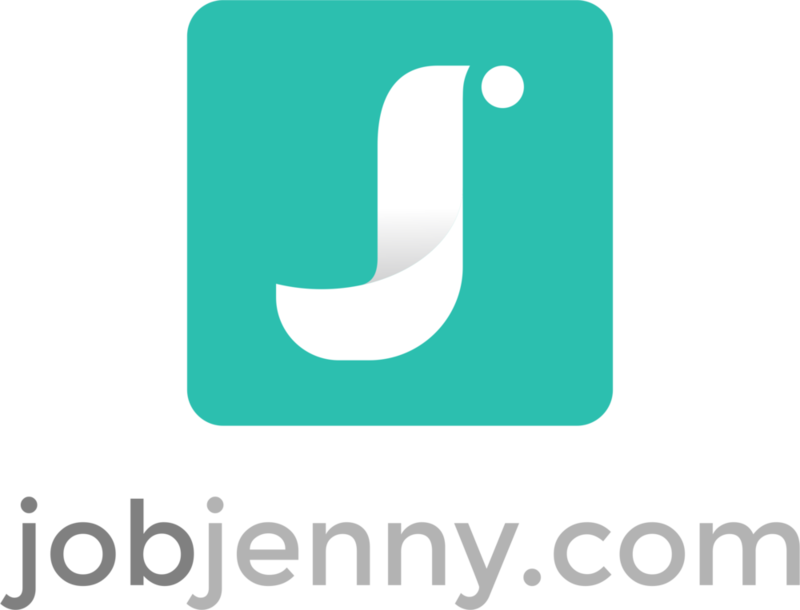 I've launched JobJenny.com and people are starting to hear about the site. And I'm beginning to receive (gasp!) invitations to speak. Invitations to share with, learn from, and hang out with inspiring and cool people. Invitations to help all kinds of people carve out fulfilling careers, to support them through this challenging job market. Invitations to challenge myself and grow as a human being, as a professional. I could have easily said no to the invitations. I could have insisted that I'm a writer not a speaker. But I didn't. And now, with a handful of speaking opportunities under my belt? I'm mighty glad I didn't let the scars of my youth determine the growth and fulfillment of my adulthood. This past weekend, I spoke to several hundred graduating students from Texas Christian University's senior class. Yes, it was scary. Every single time I clip on a mic and walk up to a stage, I can't help but flash back to that dreadful "Kelly & Company" moment of 25 years ago. But it was also incredibly rewarding to hang with a room full of excited, engaged young adults who are just brimming with excitement over their professional futures. So what's the moral of this longish story? A lot of the people I counsel are terrified to take risks. They fear making the wrong moves, so they make no moves. They play it safe. Problem is that safe doesn't tend to lead to amazing. Safe doesn't tend to lead to fulfilling. Safe doesn't tend to lead to personal growth nor career prosperity. "Oh, hell no. I'm not putting myself in THAT position again." But if you let those moments rule you? You will probably miss out on amazing things. So what if you sounded like you swallowed a frog that one time? Do you think the world's sitting around dwelling on your embarrassing moment? It'll be more than worth it. Does your resume make my life easy? Why your great resume isn't working.